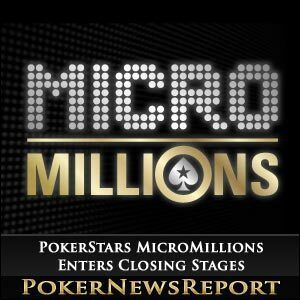 PokerStars’ MicroMillions online poker series is approaching its conclusion with well over half the events already staged ahead of Sunday’s $1 million guaranteed, $22 buy-in main event at the world’s biggest poker room. 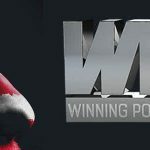 There are still 29 events to be staged in the eminently affordable series after today, however, with some incredible prize pools having already been reached during the 100-tournament low stakes festival. For example, the opening event in the series, an 11¢ buy-in Six-Max No-Limit Hold’em tournament with unlimited rebuys – on March 15 – saw 71,420 entrants take up an incredible 635,689 rebuys to smash the guaranteed prize pool of $25,000. In fact, the event’s prize pool hit $73,428 as Germany’s ‘SunTzze’ picked up $3,800.55 for an investment that almost certainly did not break through the $1 mark! Additionally, 9,702 places were paid, which works out at more than 13% of the field making the money. All you female poker players out there should note that the Women’s Sunday tournament marks its one-year anniversary at the poker room this weekend with a double prize pool guarantee special of $20,000 and double bounties of $100 at 14.30 ET (Eastern Time Zone). 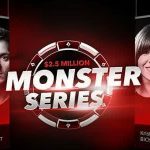 Meanwhile, as thousands of players were grinding away at the MicroMillions, the customary Sunday Million and Sunday Warm-Up events at PokerStars continued as usual, with both tournaments offering $215 buy-ins and guarantees of $1 million and $500,000 respectively. It was another German player, ‘SpeckBasu’, who won the Sunday Million for $231,214.05 after seeing off 7,706 other competitors, while the Sunday Warm-Up was taken down by ‘Maverick 360’, of the Netherlands, as he left with $102,992. 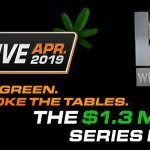 Of course, PokerStars-sponsored live events are taking place right across the globe now, with the Latin American Poker Tour (LAPT) Chile National Championship in full swing after kicking off yesterday at Vina del Mar Casino and Resort. 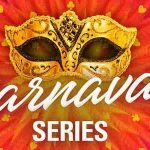 The $1,000+$100 main event runs until Sunday, while there are also seven side events taking place with buy-ins ranging from $200 up to $5,000. Also starting yesterday was the French Poker Series (FPS) SnowFest Evian in the French Alps, although the €1,000+€100 buy-in main event only starts today before also concluding on Sunday. There are 13 events in total on the schedule, including a €2,700+€300 buy-in High Roller tourney that stakes place on Saturday at the Casino Evian in the Rhone-Alps. Finally, for this week, the opening stop of season four on the Australia New Zealand Poker Tour (ANZPT) kicks off in Sydney today at the Star Casino with an AUD$2,000+AUD$200 buy-in main event that ends on Sunday, as well. As always, more information can be found by visiting www.anzpt.com/tournaments.